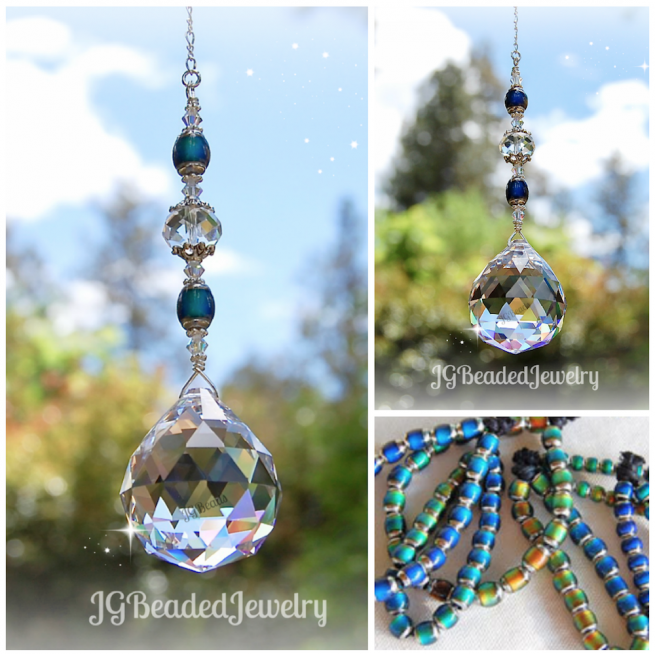 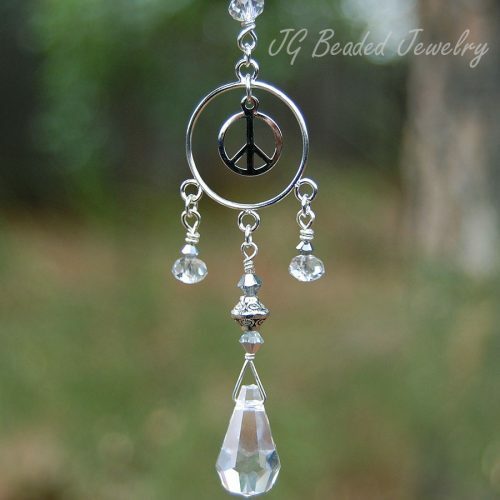 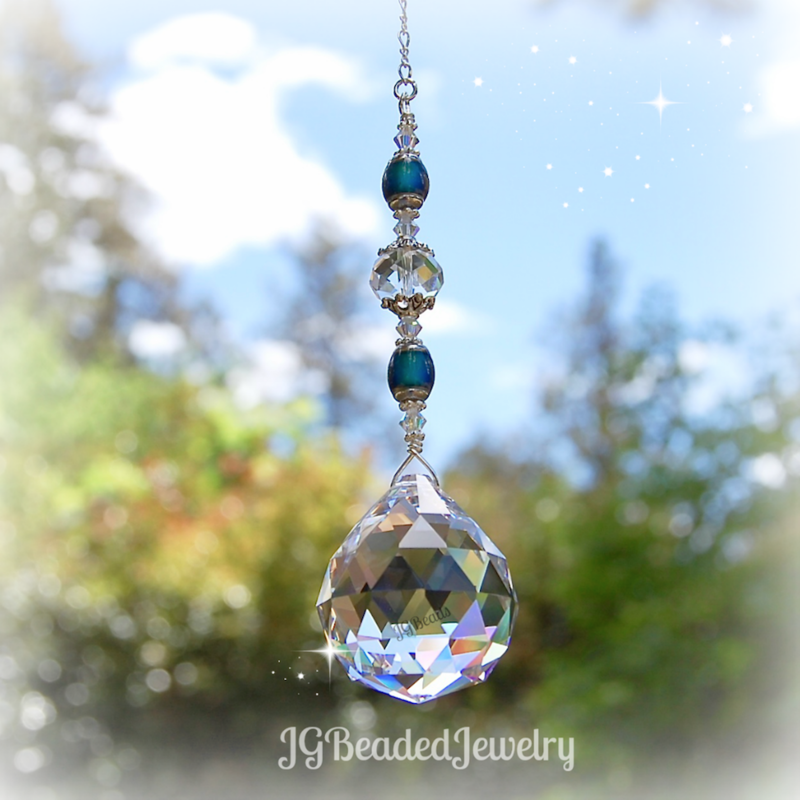 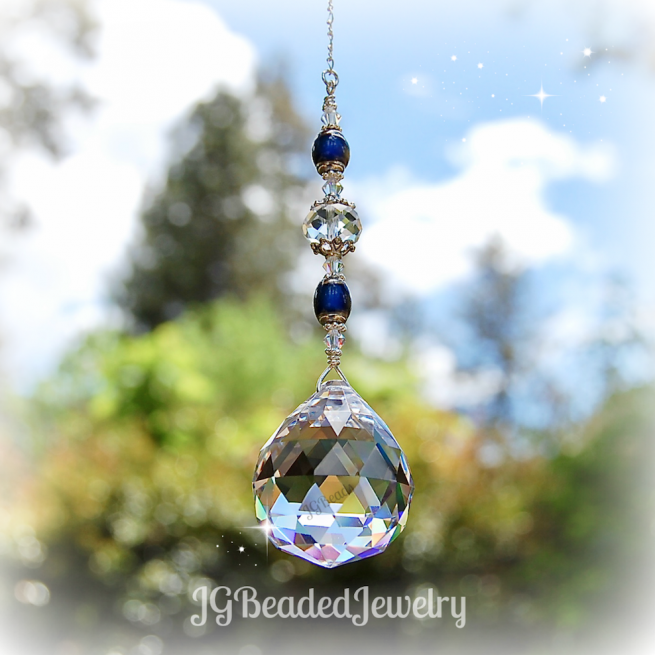 This mood bead crystal suncatcher can be hung on the rearview, in a window, attached to an existing ceiling light or fan chain, or any place that makes you happy! 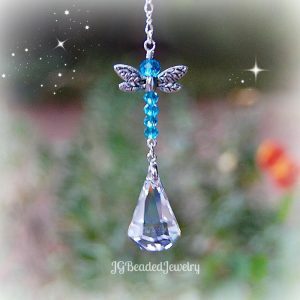 It is uniquely handcrafted for strength and longevity using intricate techniques and designed from my heart and soul with a 30mm faceted prism crystal, quality color-changing mood beads, iridescent Swarovski crystals, a clear faceted crystal and fancy silver metal beads. 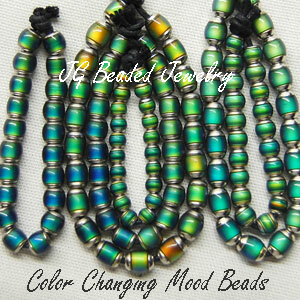 The mood beads change color with the temperature from blue, green, purple, yellow, gold, bronze and more depending on the temperature of the environment. 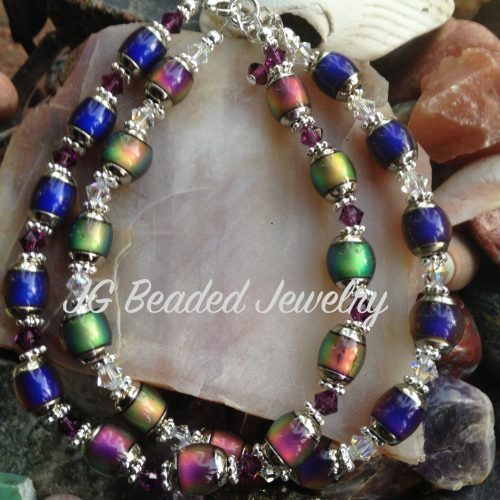 If you would like more than the quantity available or alternate color accent beads – please message me with your request.